Custom lenses made quick for you. We have a full service state-of-the-art lens finishing lab in our office. This allows us to complete most eyeglass orders in-house. This speeds up the process, as well allows us to oversee your glasses being made from start to finish to ensure the quality and accuracy of the lenses being made. We merge our attention to detail and workmanship with advance technology to come up with a winning formula. 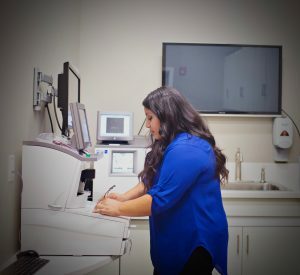 Our on-site laboratory allows us to make outstanding customization for superior thin and light lenses as well as, personal sunglass clips customized to your glasses. We pride ourselves in providing the very best eyewear available today. Part of the service we provide our patients at Specs Appeal is we offer frame adjustment and repair services. 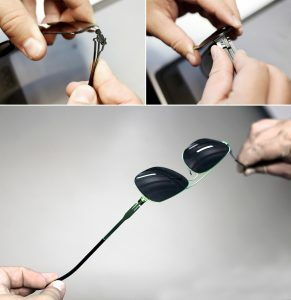 A proper fitting of your eyeglasses is necessary for good vision. Our skilled opticians adjust the bridge, nose pads, and temples to customize the eyewear to fit your face so your glasses will be comfortable and look good. We can help order replacement parts when possible including temples, frame fronts, lenses and tips.